This entry was posted in News. Campaigners are shifting up a gear in a bid to reduce the speed limit through Broadwindsor. They are urging people to sign their petition on the 20s Plenty for Broadwindsor website, which states: ‘Our aim is for Broadwindsor Village to have a 20mph default speed limit where people live. ‘Since the closure of Beaminster Tunnel, the traffic in and around the village has increased in size and speed. ‘We would like to ensure that everyone in our lovely village is protected from traffic especially as we have few and narrow pavements. ‘We should all be able to walk to school, meet in the pub and pop to the great new community store safely without dodging speeding vehicles. ‘There seems to have been a request for a reduction in the speed limit in Broadwindsor Village for as long as most villagers can remember. Some of us are fairly new to the village and adore its beautiful location, fantastic sense of community and a fair share of history. We have been welcomed with open arms and wouldn’t consider living any where else. ‘The traffic has always been a bit of a problem, however, exacerbated by the lack of pavements. Believe me, it’s not easy trying to keep hold of two extremely lively boys walking (or shall I say hopping, skipping and general jumping!) on their way to school each day whilst HGVs, people late for work, tractors, people driving with a mobile phone in their shoulder, boy racers to name but a few, all whizz past at what seems an alarming rate of knots! ‘Myself and other mums in the village have resorted to using the park as a means of avoiding the traffic, only to be met with a car park , a strong gate and several steps back onto the road again – not easy with a pushchair and a toddler. Even on the approach to the school, white vans hurtle past at great speed, not recognising the fear in parents’ eyes and seemingly oblivious to the children as young as four as they skip to the ‘sweetie shop’. ‘So..the parish council was approached and asked what could be done. ‘They said it was a very long standing issue and that the county council had agreed in principle to the reduction in the limit but that they couldn’t fund it. The parish council apparently stated that they would pay for small measures to be put in place to which the county council refused. ‘I then wrote to Oliver Letwin to arrange a meeting with himself and other people from the village and Rebecca Knox, county councillor for the Beaminster Division. 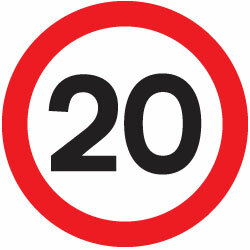 Everyone agreed – and was supported by the Parish Plan – that a 20 mph limit should encompass the whole of the village. ‘Rebecca Knox spoke to the Highways Authority, in particular Andrew J Brown, Matthew D Piles and Richard Stubbs and their response was unsatisfactory to say the least. ‘In response to being advised that the parish council and the villagers could fund any possible scheme, Andrew Brown stated that they do not accept monies to move schemes up the list. ‘He also stated that there is no casualty record in Broadwindsor and there is no evidence of excessive speeding. ‘I for one feel that the “we can’t do anything without casualties” argument is inhumane and backward and there is certainly massive evidenced concern about speeding in the village. To sign the petition, go to the website. This entry was posted in News and tagged road safety, school safety, speed limit, speeding traffic. Villagers at Broadwindsor were in the mood for celebrating on Saturday when they officially opened their new community stores in the old telephone exchange. And it was a special day for village school pupil Ellie Guppy, who won a poster competition to promote the opening. Not only did she cut the ribbon, it was also her ninth birthday. Afterwards, they all went back to the school for refreshments and a slice of cake given by Fancy That Cakes of Beaminster, which bore the words ‘We Did It!’. 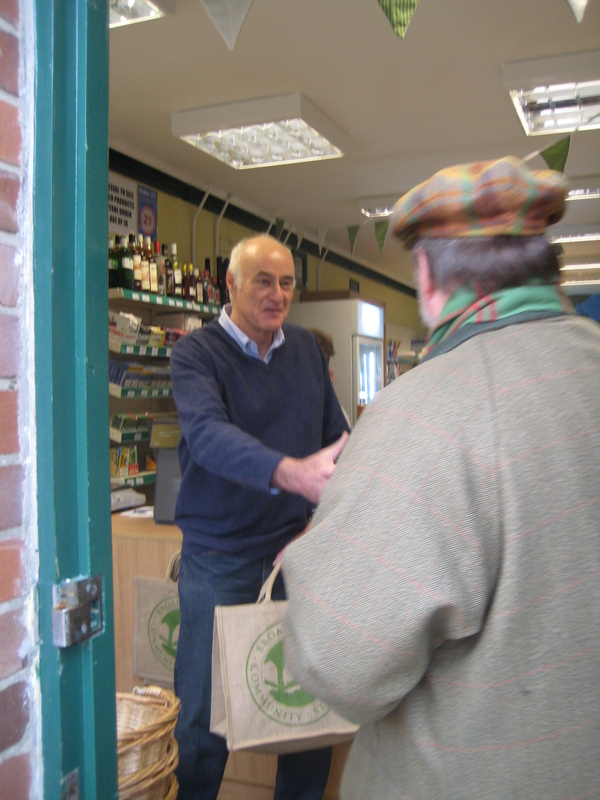 Fraser Hughes, chairman of Broadwindsor and District Community Enterprise, told the crowd: “The shop has drawn generous compliments from customers, who are not just from Broadwindsor, but all the local villages and further afield. Our fame is spreading. In fact they tell us they love it. “Many customers have been amazed at how big the shop is when they get inside and how many lines we stock – over 1,000 already with more lines and services to come. “We are good supporters of local firms and producers and aim to eventually have 30% of our products from suppliers within 30 miles of Broadwindsor. “We have done what we said we would do, open a shop for the community. I think all the committee feel immensely proud of what we have achieved. And we have given the shop a real chance of success, with no loans or mortgages to pay back. The community stores are popular with customers, who have been without a shop since the one in the square closed 18 months ago. Mr Hughes paid tribute all those who had been involved in bringing the project to fruition. 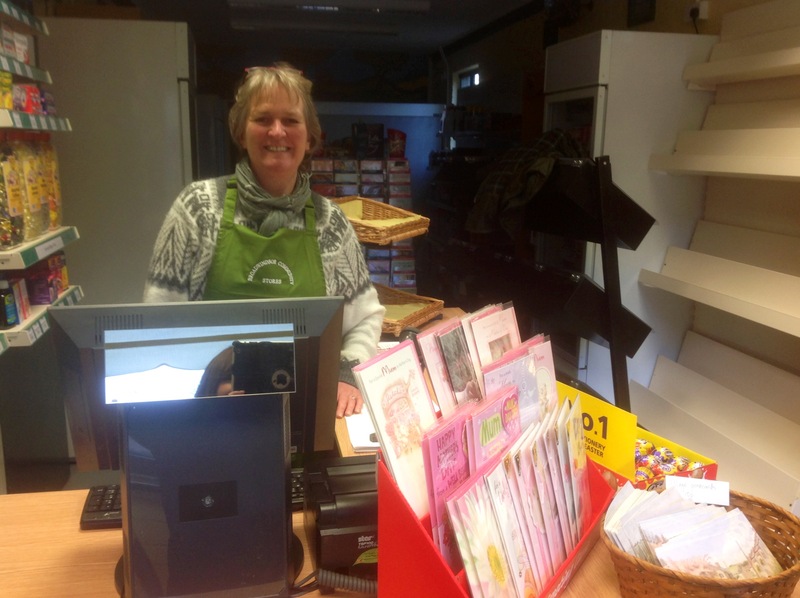 Shop manager Sue Williams, who is assisted by Jane Sloman and a team of local volunteers, said: “Since coming to Broadwindsor after many years trading in Lyme, I’ve been impressed by the commitment of everyone I’ve met to making the community shop a success. “The volunteer staff are doing a great job and the committee is tireless in its efforts. “We are stocking as much local produce we can as well as giving value for money to local people. 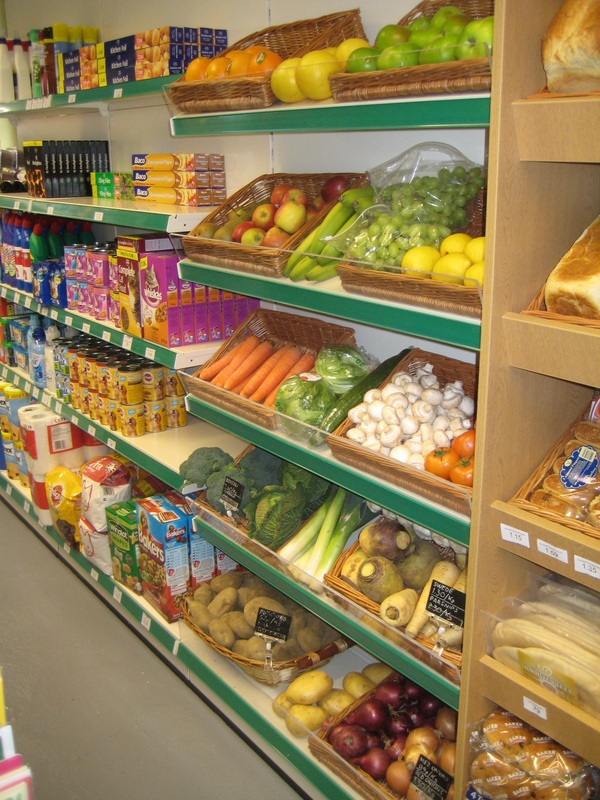 Our fruit and veg comes into the shop daily as does the bread from Evershot bakery. This entry was posted in Community shop, Home, News and tagged community shops, Fancy That Cakes. Pictures from the Broadwindsor Community Stores opening on Saturday 6 April by John Heys and Harold Jenkins. This entry was posted in Community shop, News. Broadwindsor is in celebration mode with the opening of its new community stores in the old telephone exchange in Drimpton Road tomorrow. The official opening at 11am on Saturday 6 April marks the culmination of months of hard work by local people. The ribbon will be cut by Ellie Guppy, the winner of the shop poster competition, selected from entries from Broadwindsor Primary School children. It will be a very special event for Ellie as she also has her ninth birthday on that day. Runners-up were Alfie Marsh, Kitty Neary and Ryan Leader. Afterwards, there will be refreshments at the school next door, where visitors can look at the display of posters and enjoy a celebration cake given by Fancy That Cakes of Beaminster. There will also be special offers during the day and a draw for a selection of prizes including an iPod and docking station. When the original shop in the Broadwindsor Square closed at the end of August 2011, it seemed at first that there might never be another shop in the village. But a team of residents, with tremendous backing from the community, embarked on the road to prove it could be done. Unsuccessful attempts were made to buy or rent the original shop, and at one time a temporary shop in the grounds of Comrades Hall (the village hall) was considered. Despite setbacks, the village stayed committed and at the beginning of December 2012, the breakthrough came when planning approval was given to turn the old telephone exchange into a shop. The finance to open the shop has been raised from donations, grants and a share issue, to which over 200 local people subscribed. Chalk & Cheese*, an organisation administering funds for rural development on behalf of the EU, also awarded the shop a grant. This money has meant that the shop fittings, stock and initially part of the manager’s salary have been funded. The shop committee has also received a huge amount of encouragement and advice from outside organisations, particularly the Plunkett Foundation, the acknowledged experts in the community shop field. 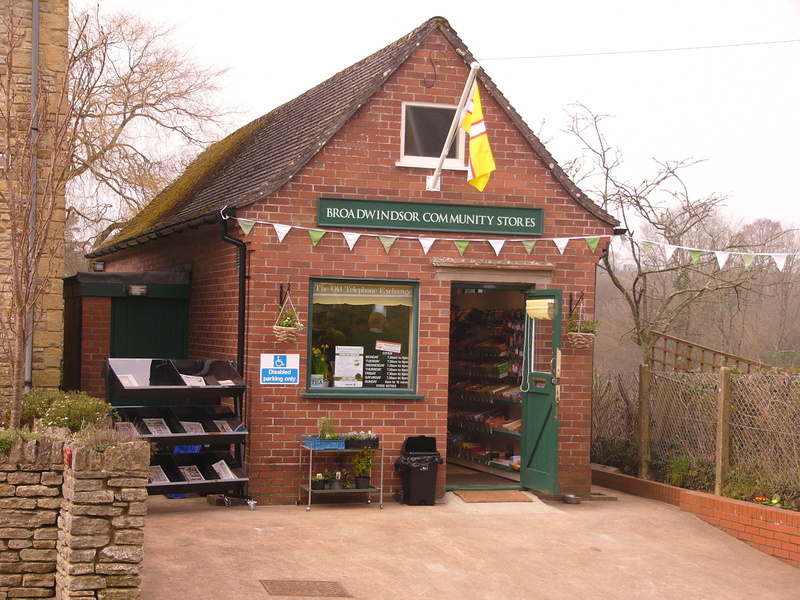 Broadwindsor’s is the 307th community shop to open in the country. The shop manager is Sue Williams, who is assisted by Jane Sloman and a team of volunteers. *The project is part funded by the European Fund for European Development 2007-2013; Europe investing in rural areas. 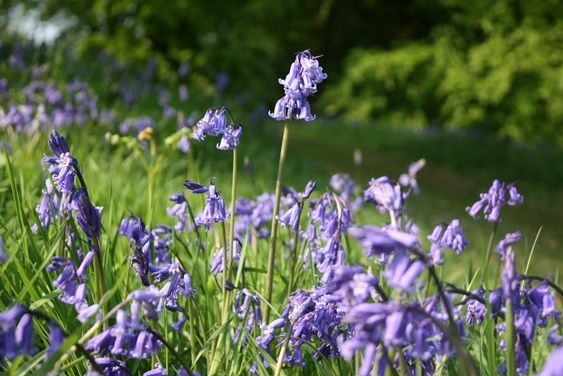 The project is being delivered through the Chalk & Cheese Local Action Group, with Defra as the managing authority. This entry was posted in Community shop, Home, News and tagged broadwindsor community stores, Broadwindsor Primary School, Chalk and Cheese, Fancy That Cakes, Plunkett Foundation. Broadwindsor Community Stores now has its own website. The opening of Broadwindsor Community Stores is a triumph of local endeavour and a major achievement for Broadwindsor and the surrounding villages. When the original shop in the Square closed at the end of August 2011, it seemed at first that there might never be another shop in the village. But a team of residents, with tremendous backing from the community, embarked on the road to prove it could be done. Unsuccessful attempts were made to buy or rent the original shop, and at one time a temporary shop in the grounds of Comrades Hall (the village hall) was considered. Despite setbacks, the village stayed committed and at the beginning of December 2012, the breakthrough came when planning approval was given to turn the Old Telephone Exchange in Drimpton Road into a shop. The finance to open the shop has been raised from donations, grants and a share issue, to which over 200 local people subscribed. Chalk & Cheese, an organisation administering funds for rural development on behalf of the EU, also awarded the shop a grant. This money has meant that the shop fittings, stock and initially part of the manager’s salary has been funded. The shop committee has also received a huge amount of encouragement and advice from outside organisations, particularly the Plunkett Foundation, the acknowledged experts in the Community Shop field. It is our shop and many local volunteers will be helping to run it. Having battled so hard to provide this amenity, requested by over 90% of residents in the recent Parish Plan, we now need to ensure it succeeds. Please help by supporting it. Thank you! This entry was posted in Community shop, Home, News. 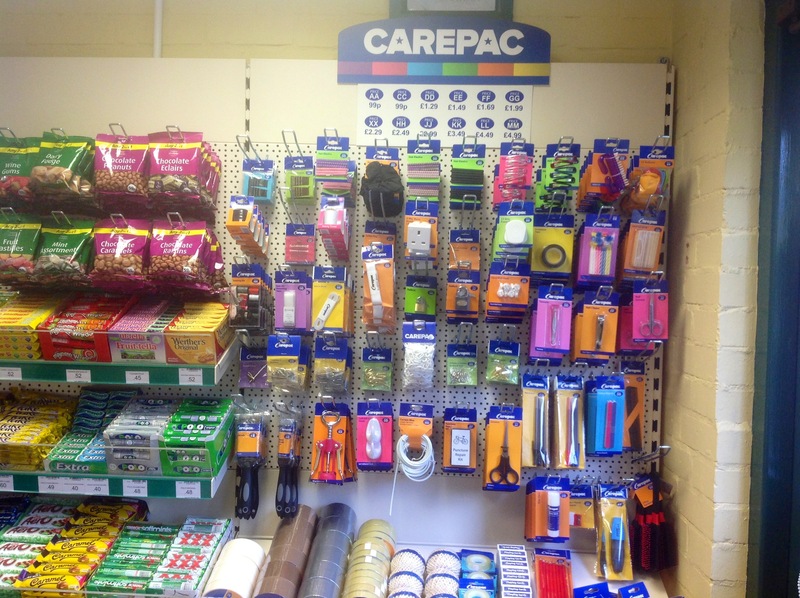 Hurrah for Broadwindsor Community Stores! Fantastic! 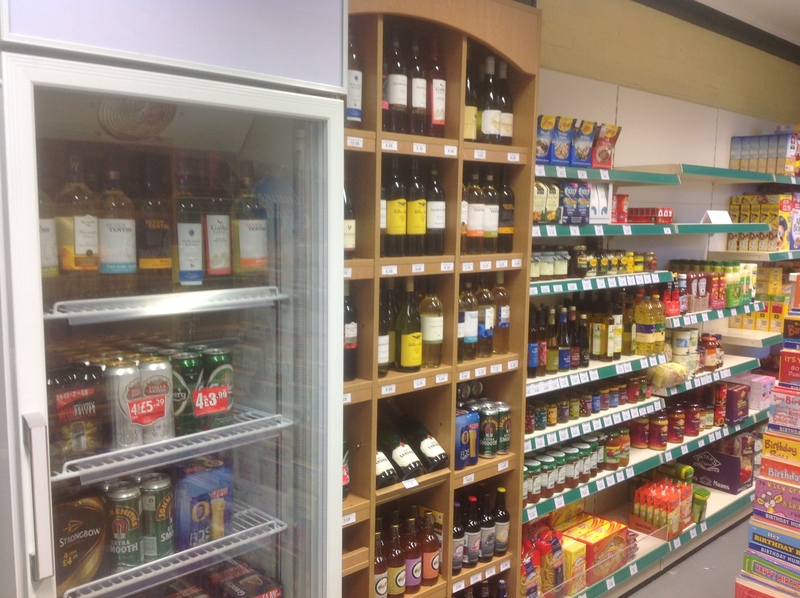 That’s the verdict on the new community stores which opened in Broadwindsor today. Bunting was waving and the Dorset flag was flying as customers were greeted with shelves bulging with produce at the old telephone exchange in Drimpton Road. 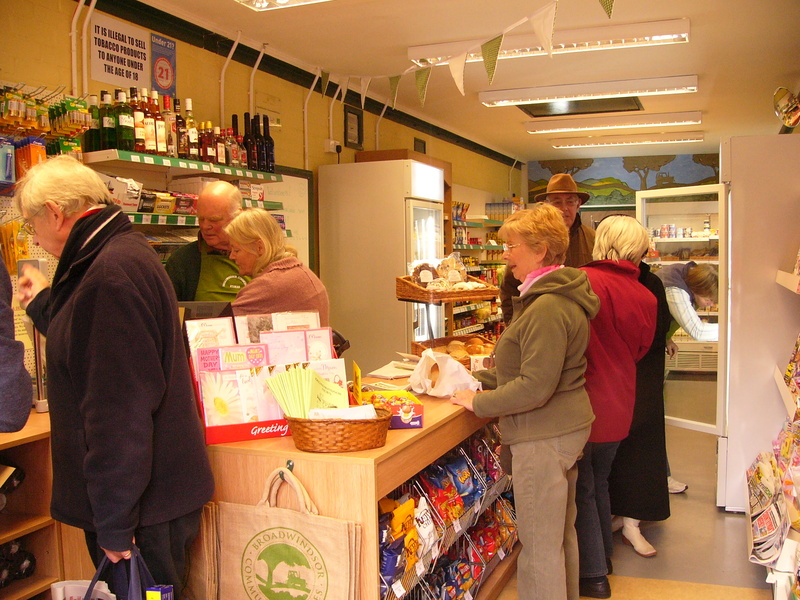 There’s a good range of local produce for sale, as well as everyday items. Orders are being taken for fresh meat and fish and the shop has a coffee machine (with real beans!) so early birds can call in to pick up a sandwich and a coffee en route to work. 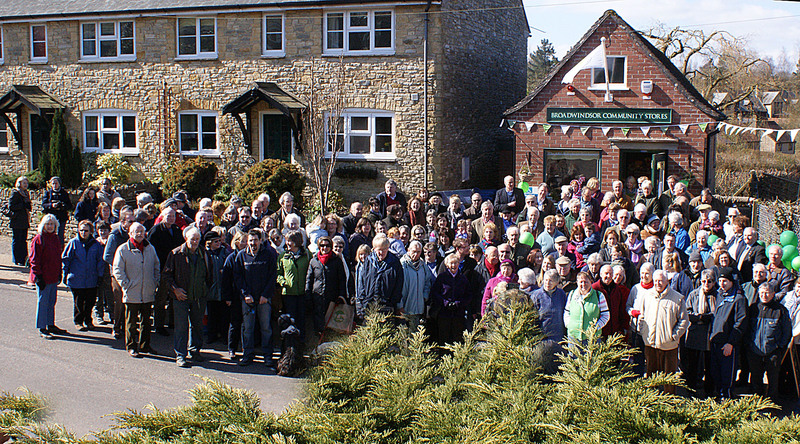 The shop is managed by Sue Williams and her assistant Jane Sloman and around 40 volunteers from the community. The shop hopes to offer to make up welcome hampers for holiday cottages, a dry cleaning service and prescription collection. 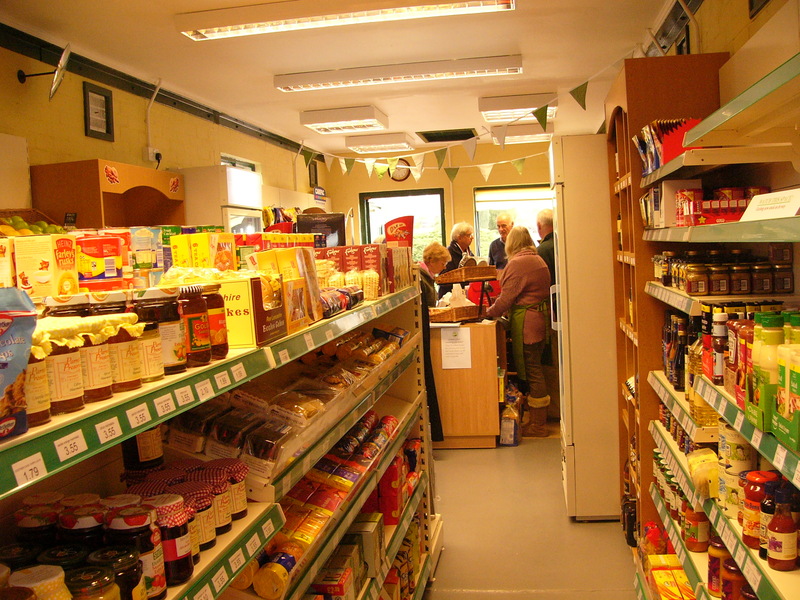 This entry was posted in Community shop, Home, News and tagged community shops, local produce.